jumping aground: L. Lighten up! & A CELEBRATION!!!! Lighten up lady! Let’s laugh a little and spend a few moments looking for some lovely locations on the laptop. It’s possible to overload on the litany of lies from the long list of lunatic lumps leering at my concerns for our lives and longevity. It’s time to be light-hearted; grab some lunch of lasagne, a longneck of lager and luxuriate in a lungful of fresh air. Luckily I’ve loaded my files with shots from lots of latitudes. Ah, this is the life. I like it! I've been blogging for one year today. It feels almost like a surprise to still be here after my "main" blog's (traverselife) inauspicious beginnings. To all the amazing people who have had the confidence that you'll return, thankyou so much for clicking "Follow" ... WOW! ... I'm honoured. It's heart-warming, welcoming, accepting, supportive and humbling. I'm in a state of wonder. I often feel like a grumpy lady up on my soapbox railing against the world. For that reason, it didn't matter if no one ever followed me, I'm writing for me, to get it out of my system, but by golly, it feels great that others connect in some way...there's others who care out there! WELCOME! Please comment and share when you can, I firmly believe connecting is important. Should I go back and edit to make sense for anyone who sniffs around? Maybe, but I'm having too much fun here and now to bother. What I thought would happen, hasn't. But this is SO much better than I could ever have imagined. I'm deeply grateful that I've bumped into this generous, welcoming community of diverse bloggers from around the globe. It's opened my eyes to our common challenges as well as unique issues as people living in a difficult world. 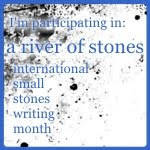 In January, I began Jumping Aground (the title Jumping Around had already been taken) to make it easier to contribute a small stone (a short piece of writing that captures a fully engaged moment) to the River of Stones. It's been fun to rediscover writing for pleasure, to tinker with words, maybe to find my voice as a writer, although that sounds presumptuous. I still don't consider myself to be a writer, but maybe I'm getting there - wherever there happens to be. 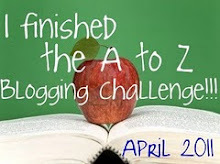 I'm unsure what will happen next after I've finished the A-Z Bullying over at traverselife. It's been a labour of love, grueling but rewarding. I'll need a break from it I know. Here at JumpingAground, we'll see, something will turn up. I remain deeply concerned about the environment, those with learning difficulties, education and injustice and will keep writing about that, but I also need to regain my balance and do some fun stuff too. Like you, I ask that question. Happy Anniversary! I would have brought cake had I known. One thing I have learned in my extremely short time in blogland. All of the things I thought it would be, it has not been. It has been so much more than I ever thought it would be. Congratulations on your anniversary. All blogs take us in directions we did not expect. You have a set of lovely photo graphs to go with 'L.' I would love to know their locations. fiziskandarz, it was a pleasure to support you! Dafeenah, mmm, cake would be lovely - virtual is fine! Bob, oh dear, I'm sorry, that was an oversight, I'll edit them ASAP. 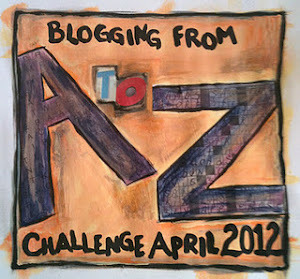 Generally it looks like we've been moulded by our blogs, I find that really interesting. Happy One Year Anniversary. Uncork the bubbly. Did someone say they brought the cake? I think mine is coming up about now too. I relate to your questioning yourself about blogging. And you share the things you've learned. You shared with me. I too, felt shy to blog. I'm certainly not a writer. I'm a writer groupie. I like to hang around them. I don't leave my "mushroom cave much lately so my world is archaic and old fashioned. New buzz words and phrases..... I haven't a clue what some of them mean. But I'm learning and a lot of the younger people accept me. I love you and your blog and your other side of my world. If it were not for blogging we'd have never me. Happy blogiversary! May it be many many more! I think you're too harsh a critic - your blog is absolutely delightful, and you HAVE found your voice. A most lovely voice it is. Manzanita, Welcome! thanks for the cake, nicely warm and scrumptious, I'll just brush the crumbs off the keyboard. I like the term writers groupie, I think it fits me too. I want to say about you, I'd prefer the words wise and vivacious to archaic and old fashioned, they sound a bit too fusty. It's lovely to share our respective outlooks, we're all learners and on this journey together. Mari, thankyou so much for your friendship. You're prodding me into accepting my writing as valid. I can't express how much that means to me. Congratulations on your 1 year blogoversary! It's such a great milestone you should definitely celebrate. Btw, i love these pictures! They are beautiful.